Lansdowne's Kasang Regency – a rare retreat for the seekers of peace, pristine beauty and pleasure in the Pauri-Garhwal region of Uttarakhand. The 30-unit resort - 18 super-deluxe rooms and 12 deluxe ones - is the biggest in the heavenly hills of Lansdowne. Kasang Regency is well and truly a labour of love, just to reinforce the love for nature. The resort promises to fulfil all basic and recreational needs of travellers and fun-loving people. All the rooms of Kasang Regency Hill Resort have been designed in such a way that their balconies give a complete 180 degrees view of the hills – a view which can beat all the views. From our rooms, the breathtaking beauty of the sunrise and the sunset will never be lost on the occupants, even if they are not out trekking at that time of the day. Look down a little from your balcony, and the mesmerizing Jim Corbett national park will be visible in all its glory. If you chose to conduct business in Leisure, Lansdowne's Kasang Regency is just the perfect place for you. A multicuisine experience, and a comprehensive entertainment package to complement our guests' tryst with nature is what we seek to provide. One visit, and you will be compelled to come every year as our honoured guest. 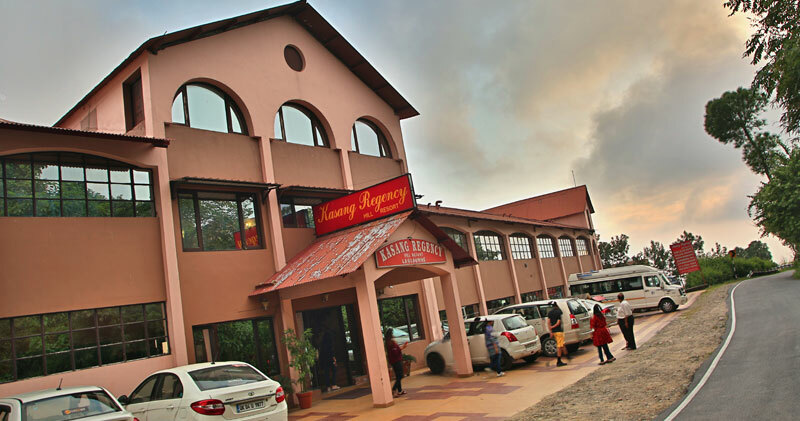 At Kasang Regency, it will always be our pleasure to receive you,keep you amidst all comforts, and see you off after a holiday that `made your days' at Lansdowne. At Kasang Regency, we are well aware that menu plays a big role in deciding how memorable the trip had been. And at our restaurant with a seating capacity of 50 , we are geared to deliver precisely that. Specialists Chefs for different cuisines will ensure a delightful and wholesome experience that you will never forget.